Ancient Forest is composed entirely of this material with no fillers or additives, and produced through a natural composting process that retains all the beneficial elements of this unique resource. Since the last ice age, forests have been growing and decomposing in the Arctic, leaving behind accumulations of rich, natural humus. 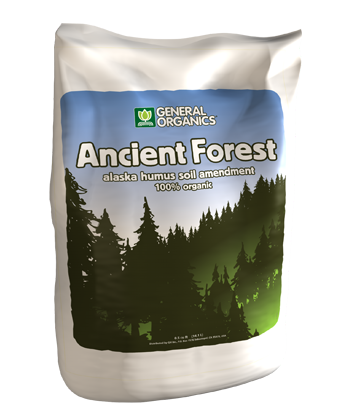 Ancient Forest is composed entirely of this material with no fillers or additives, and produced through a natural composting process that retains all the beneficial elements of this unique resource. With Ancient Forest, your plants receive a robust spectrum of natural materials that have accumulated over thousands of years of growth and natural composting. That gives you benefits from seed-starting through foliage development and harvest. Find a store near you that carries Ancient Forest.